Solar Power using photovoltaic panels (PV) isn’t just a thing of the future anymore. Affordable solar is here. 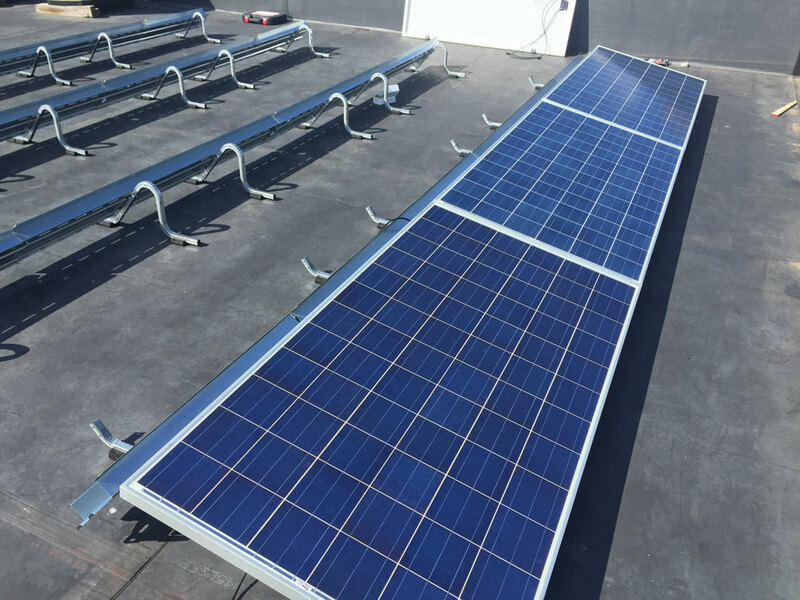 If done correctly solar panels can be installed and produce the majority of the power that the home uses. Fan Man looks at solar a little differently that the average solar company. While we custom design, engineer and install top notch solar systems we first look at the current energy usage and performance of the home. It typically costs much less to save energy than to create it. 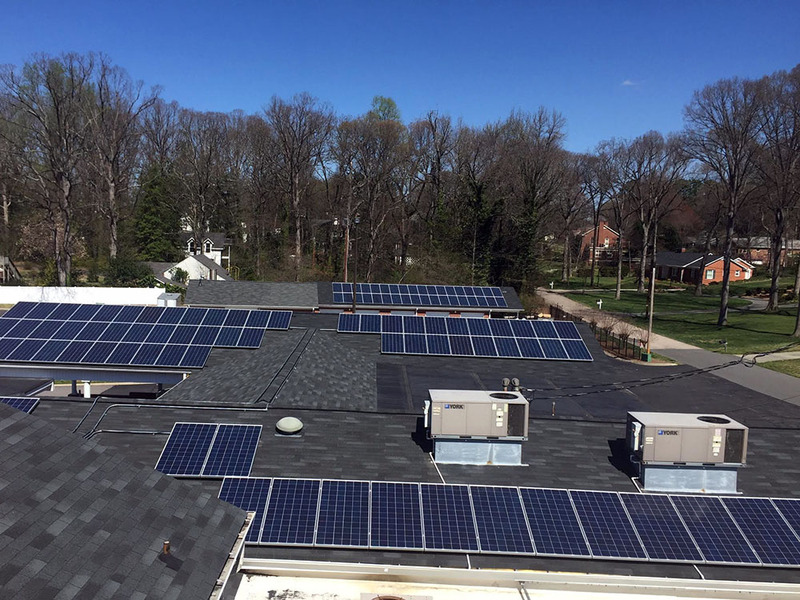 We like to start by doing a comprehensive energy audit and uncover the most economical ways to save energy then the solar systems we install have a larger impact on the overall energy bill. This is our specialty. There are also tax credits available, the federal credit is 30% through 2019 (Federal tax credit link). While the NC state tax credit expired in 2015 a new credit has been established in SC and is up to 25%. 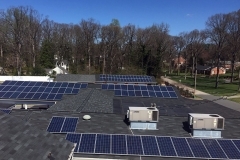 Contact us today for your free solar evaluation and we can help determine all your options. 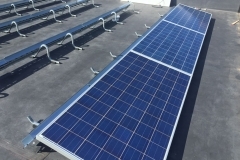 We install all types of Photovoltaic systems which include the following. All types of Roof Mounted Systems, Residential or Commercial. In 2007 Mark Romano, owner of Fan Man Inc. and Reeves Vaughn purchased a building in downtown Mooresville at auction in 2007, the building has stood since 1895 and is one of the original buildings in downtown Mooresville. The building had been majorly neglected and ultimately caught fire and was in desperate need of rehabilitation. Mark Romano acting as the General / Energy Efficiency Contractor brought the building back to life. We brought back the natural elements of the the building as well as introduce highly effective energy upfits. First we spray foamed the entire underside of the roof decking, used high efficiency windows and doors as well as HVAC units. 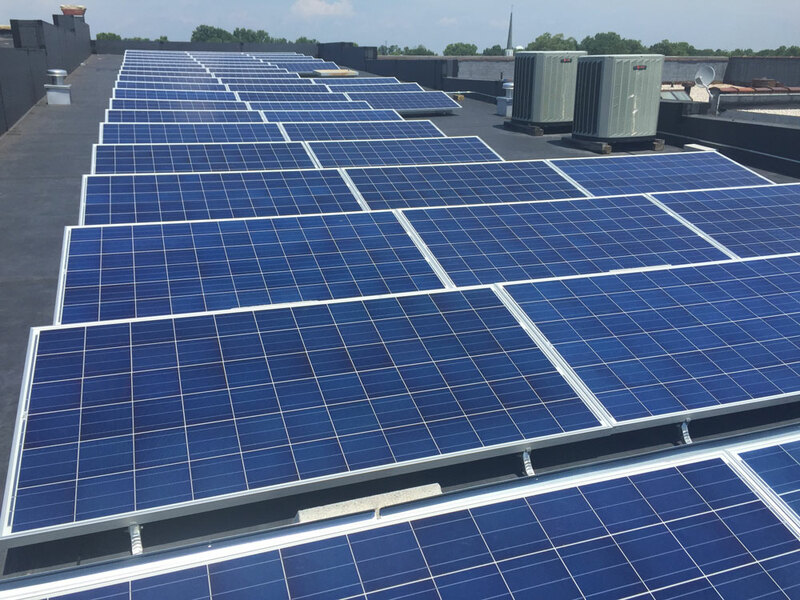 That has kept the energy usage at a minimum and finally in 2015 we installed a 25KW solar system that supplies the building with almost 100% of its electrical needs on a yearly bases. It is very close to a net zero energy building which makes it very rare being over 115 years old. 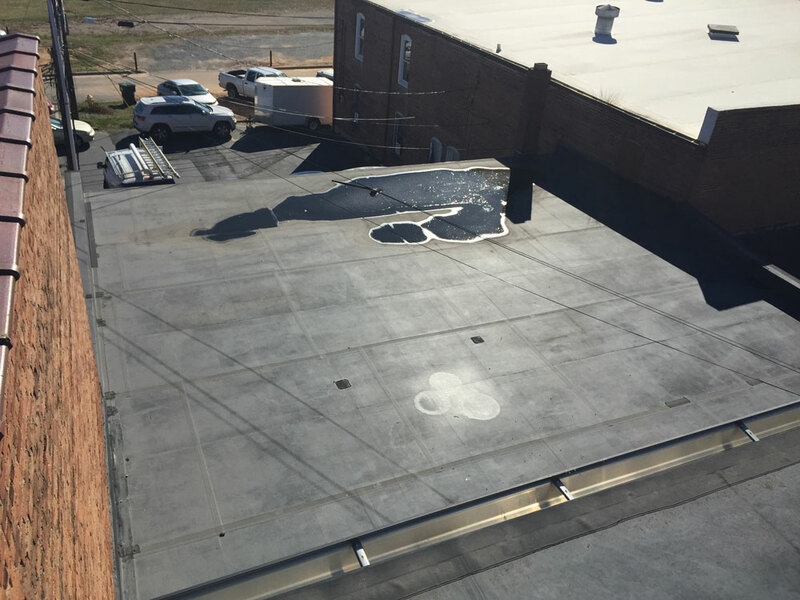 Located in Kannapolis NC, this project was a lot of fun because of all the opportunities to reduce energy usage. We started with an energy audit and a solar assessment Of high energy bills, especially in the winter. What we found was a complete lack of an air barrier. There was a drop tile ceiling with sporadic insulation and a vented attic. All the air in the building was replacing itself more than once per hour. The air was flowing right through the tile ceiling and out the roof. Also the roof was getting to end of its life cycle. 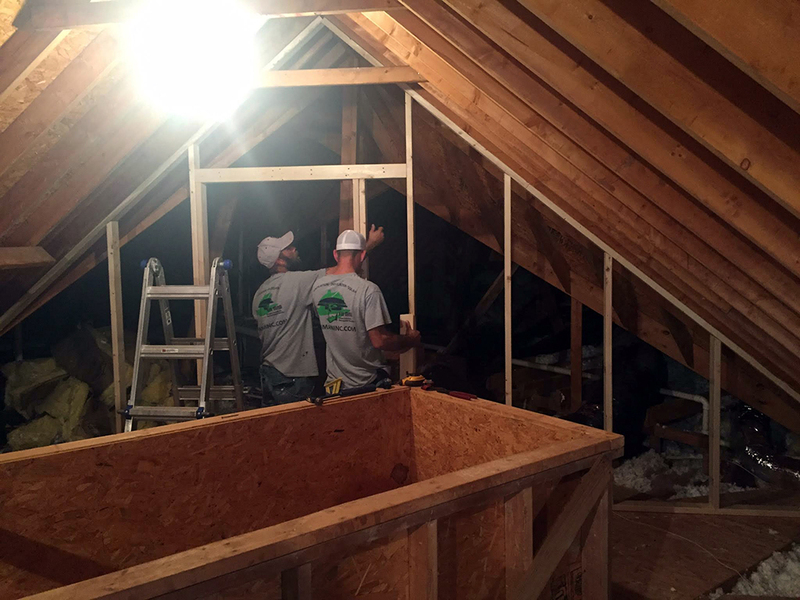 So this project involved a roof replacement, foam insulation encapsulating the attic and a 6.5 KW solar system. 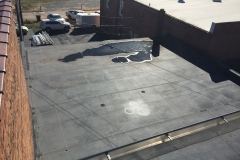 The spray foam sealed the air leaks to the outside of the structure and provided a continuos thermal barrier (insulation). Before our energy retrofit the electrical usage was between $500-$700 per month. Since the retrofit the bills are in the $200-$300 range. The solar system alone produces about $100 per month in electricity. This is a clear example of how efficiency needs to come 1st and then renewables can offset a larger portion of energy usage. 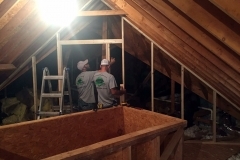 A wall was built to separate the finished space above the garage from the main attic. Then spray foam was installed to encapsulate the room, this will make the bonus space easy to heat and cool. 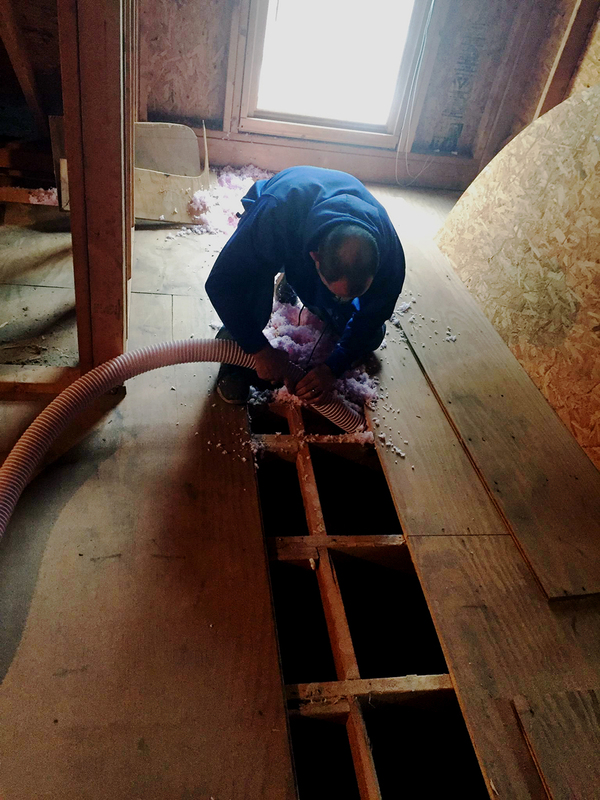 We cut out sections of bonus room floor and then blew fiberglass insulation into the cavities then replaced floor. 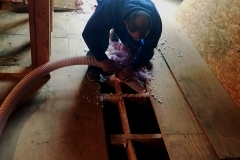 Spray foam was installed around the rim joist area in the crawlspace to stop air infiltration into the home. 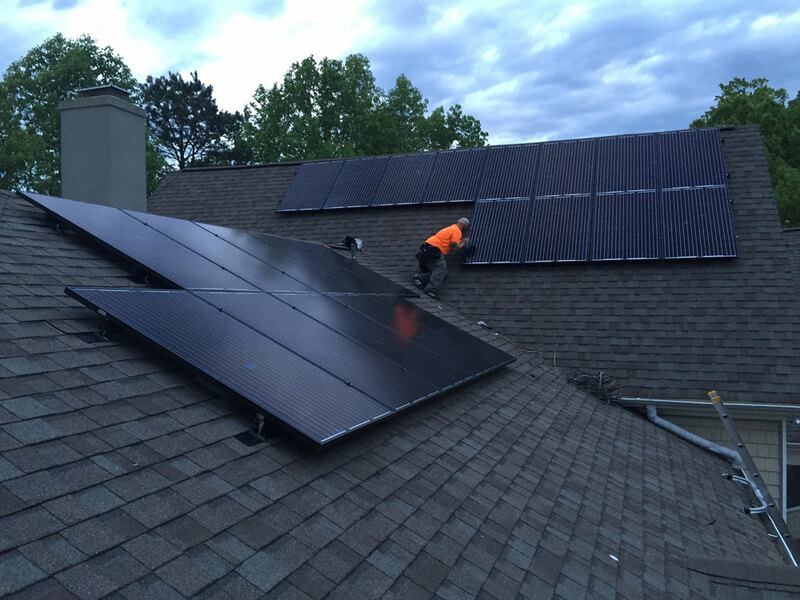 6.5 KW Solar system was installed. Also located in Kannapolis NC, this is a very similar project to the last one, just on a larger scale. 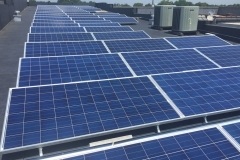 With the exception that we were able to fix 51KW of solar on this structure. This along with the efficiency upgrades we installed are going to completely offset there energy usage and get the bill very close to $0. 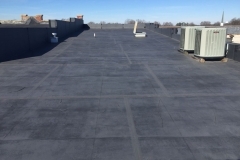 We replaced several sections of roofing the were older that adjacent sections. Then sprayed over 8000ft2 of foam insulation to provide the perfect air and thermal barrier. 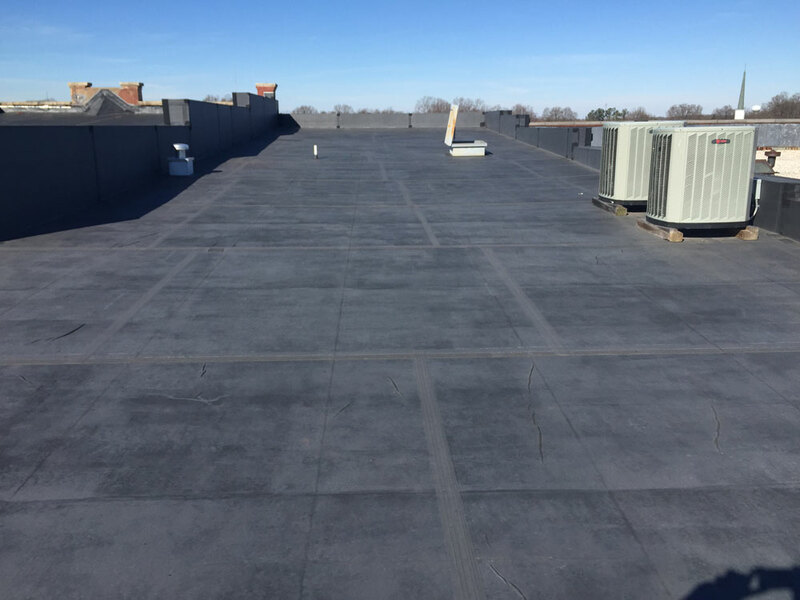 We also completed installs on over 50 smaller project over the last couple years and below are pictures from some of those installs. ©2015 Fan Man, Inc. All rights reserved.